What else can you say about one of the most imperfect crimes in history? Most people around here have heard about the $17 million that was stolen from the Loomis Fargo facility in Charlotte. 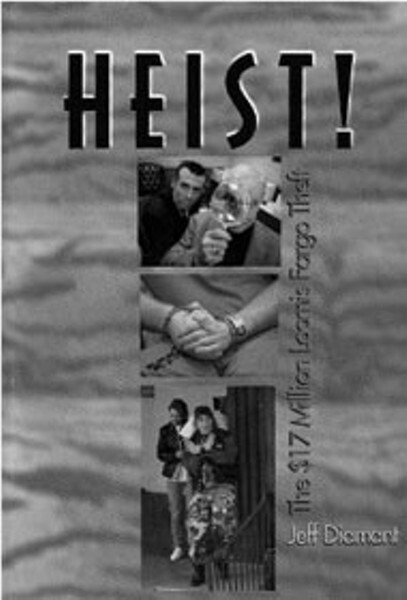 Former Charlotte Observer reporter Jeff Diamant has done a snappy reporting job detailing the theft in his new book Heist!. Diamant was working in the Gaston County bureau of the Observer when the theft took place, and he became their lead reporter covering the theft and the ensuing investigation and trials. Diamant does a good job of presenting the story in an "as-it-happened" type of timeline. Despite the previous publicity -- or maybe because of it -- a book like this, about an event like this, is welcome for giving the whole story all in one place. Most true crime books involve murder but equally draw their drama from the relationships of the people involved. This crime didn't involve a murder (although one was plotted), but a lot of the drama here, too, comes from the relationships. Diamant doesn't delve very deeply into the psyches of these people but he doesn't really need to -- we all know 'em. Just in case you missed it back in October 1997, here are the basics. On the night of October 4, 1997, David Scott Ghantt, who had worked with Loomis Fargo since 1994, sent the trainee he was working with home around 6pm, proceeded to load $17 million into the back of a company van, and took off with it. From the beginning, the plan was as shaky as it was audacious. Although he was married, Ghantt had struck up a relationship with a Loomis Fargo co-worker named Kelly Campbell, and they kept in touch after she left the company. Jokes about robbing Loomis Fargo apparently were rampant among the employees, but one day in August 1997, Campbell's suggestions took on a more serious tone. Later, she told Ghantt about a friend of hers named Steve, who had criminal connections, and who could help them. Steve Chambers' job was to handle things locally while Ghantt hightailed it to Mexico to hide out since the one thing they figured correctly was that the company would quickly determine who had done the actual stealing. Matters quickly spiraled out of control. Details tripped them up: everything from not realizing the actual bulk of so much money to discovering the airport Ghantt was supposed to fly out of was closed. Meanwhile, Ghantt languished at a resort in Cancun, having spent most of the $25,000 he took with him. He moved to less luxurious quarters and began badgering Campbell to tell Chambers to send more money. Investigators had indeed almost immediately identified Ghantt as the man who stole the money. However, FBI investigators moved slowly, Diamant writes, first fairly easily connecting Campbell and Ghantt, then piecing together a connection with Chambers. It took awhile, though, to come up with hard evidence connecting Campbell and Chambers. Meanwhile, Chambers also plotted to have Ghantt killed in Mexico. And in another truth-is-stranger-than-fiction absurdity, some of the stolen money was actually stolen from one of Chambers' storage units. Eventually, the FBI arrested 24 people, all of whom were convicted, and more than 95 percent of the stolen cash was located or otherwise accounted for. But from the Velvet Elvis to the snazzy BMW, the question remains: Why didn't Steve Chambers leave the area with at least a hefty part of the money? Since he declined to be interviewed for the book we may never know for sure, although some of the folks involved speculate about it. Maybe he didn't listen to the radio that morning. Jeff Diamant will sign Heist! at these bookstores on October 4, the anniversary of the theft: The Bookmark, 12:30pm, Founders Hall (704-377-2565) and Park Road Books (formerly Little Professor) 7pm, Park Road Shopping Center (704-525-9239). On October 5, he'll be at the Gaston County Public Library at 2pm (704-868-2167) and on October 6, at Books-A-Million in Concord Mills at noon (704-979-8300).